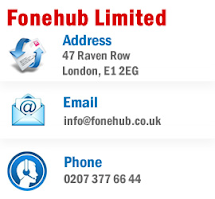 FoneHub Limited: Should Mobile Phone Unlocking Be Free? If you are one of the lucky ones who has reached the end of a phone contract without breaking or losing your phone (it’s okay, some of us here are guilty of it too!) then you’ll know about the policies of some providers - regarding unlocking a mobile to all networks. 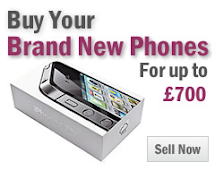 Currently, there seems to be quite a considerable range in policies when it comes to unlocking a handset. The minority will do it for free, most do it for a substantial cost, and others will not provide the service at all. Which? has called for providers to unlock all mobiles at the end of a contract, and to alert customers of the best deals going a month before their contract is due to expire. More than 8 out of 10 customers believe that unlocking a handset should be done for free, especially when they have paid for a handset throughout the course of the contract. This may seem like common sense; however it certainly hasn't been happening across the board. New research shows most people don't trust their provider to alert them of the best deal to suit them. Only 40% of consumers believe their current provider gives them the best possible deal. The executive director of Which? stated “'We want to send a message to mobilephone companies that they should help customers get a better deal by alerting people that their contracts are about to end and by unlocking handsets for free." We agree that more regulation should be called for regarding contracts and unlocking mobiles. What do you guys think? Have you ever been stung at the end (or even the beginning) of a contract? Tell us more in the comments below!